It may seem kind of strange to pair the word “luxury” with “vinyl flooring” but this terminology does make sense! 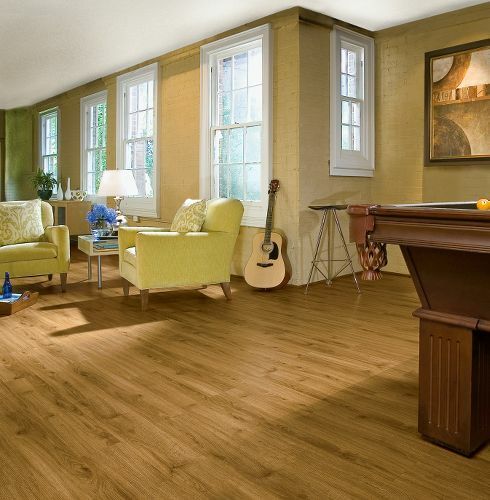 Luxury vinyl earns this title because of its close resemblance to hardwood and real stone flooring. This type of flooring isn’t just for basements anymore either, it is suitable for any room in your home or office/commercial space and is even being used as the flooring of choice in some very high-end condos. What luxury vinyl basically does, is give you a floor that looks like real hardwood, and we mean pretty much any species of hardwood you are interested in, from oak to walnut to any of the exotics woods such as acacia! The variety and realistic look and feel of these luxury vinyl planks is impressive to say the least. Vinyl tiles that simulate natural stone are equally as realistic and stunning as the hardwood planks. These tiles are actually composed of vinyl and limestone and can look like slate, marble, travertine to mention a few. 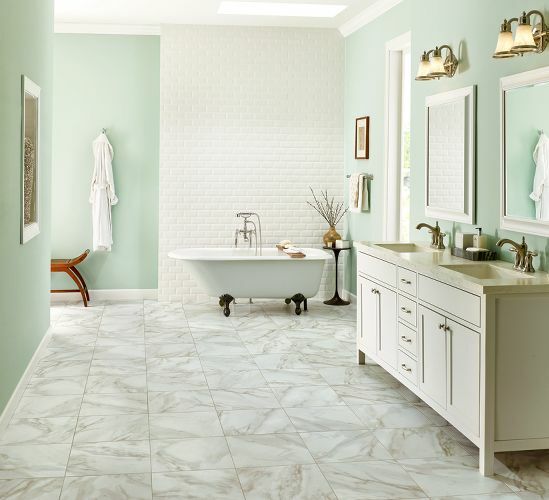 To achieve an even more realistic stone style look, some vinyl tiles can also be grouted! So why would anyone choose luxury vinyl flooring, that goes to such great lengths to look like the real thing, over the real thing? Well there are lots of reasons, but primarily it comes down to cost, durability, and installation. Luxury vinyl flooring is much more economical than the real thing, and certainly when it comes to comparisons with hardwood it is more durable. 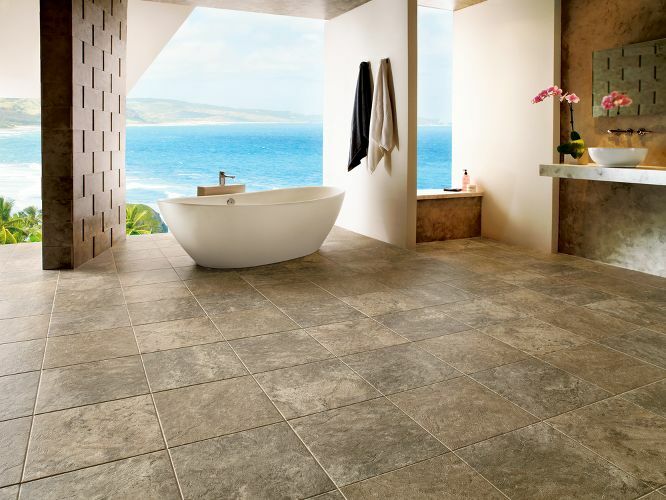 Vinyl is water resistant, soft underfoot (so easier on the feet and back, especially when standing for periods of time), and doesn’t require professional installation (unless you want to grout your tiles). Want more information on vinyl flooring? Click here for FAQ’s and maintenance suggestions. Call or visit any one of our three store locations or call us with any questions! 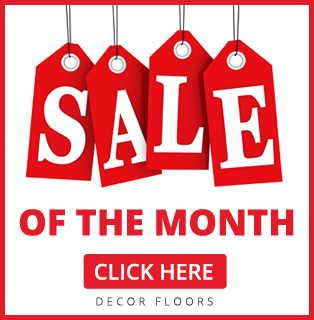 Décor Floors is known as the best flooring store in Toronto, Mississauga, and Brampton for a good reason – we know all about flooring and are dedicated to helping our customers choose the perfect floors for all of their projects, big or small! Learn the carpeting basics from Decor Floors, the flooring experts!